Migraine Monologues: A Genetic Link Between Epilepsy And Migraine? When describing migraine, especially to people who don't seem to understand how severe it can be, I often say: "It's a cousin of epilepsy." My this is all rather serious for monday morning isn't it? Yes, you should probably imagine Dame Judi Dench is reading this out-loud to you. By the way, I don't make the comparison between epilepsy and migraine lightly. I have several close friends who suffer from severe epilepsy and I've seen how devastating and debilitating it can be. A girl I was at school with tragically died from a seizure, whilst at her home. She would have seizures at school and I vividly remember our maths teacher carrying her out of class once. So, please do not think I'm trivialising epilepsy or the struggle of those who live with it. The reason I'm writing about this topic today is that clever Scientists from Columbia University have released results from a study which could finally prove a genetic link between migraine and epilepsy. Dr. Melodie Winawer from Columbia University Medical Center in New York said "Our study is the first to confirm a shared genetic susceptibility to epilepsy and migraine"
It has long been known that migraine and epilepsy are comorbid. Indeed many migraineurs, myself included, take treatments that were primarily intended to treat epilepsy; known as neuro-modoulators or anti-convulsants. Topamax, Gabapentin, Valproate etc fall into this category. 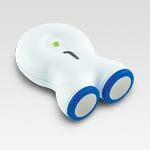 Likewise, The Gamacore devise (shown right) which I use to treat some of my right sided migraines stimulates the Vagus Nerve. 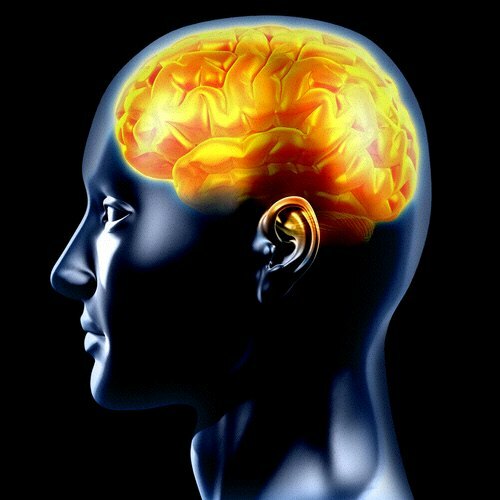 Vagus Nerve stimulation has also been used to treat epilepsy. There are also many other similarities, which are far too technical for me to really understand and explain but involve brain hyper-excitability, genetics, 4 stages of attacks etc etc. And this study found that those with three or more close relatives with epilepsy were twice as likely to suffer migraine with aura. This study is great news for sufferers as more targeted treatments can now be developed, and any greater understanding of both conditions is always beneficial. I'm also hoping that it might mean the general public will treat those of us with migraine with a bit more consideration. Migraine is the most common neurological disorder in the developed world. It's more prevalent than epilepsy, asthma and diabetes combined but receives far less funding. Isn't it time to re-address this balance? Really interesting, I never really thought about the use of epilepsy drugs working for miraineurs in this light before. 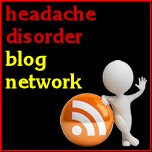 Thanks for this great post on the link between Epilepsy and Migraine. On my mothers side I have family members with Epilepsy and Migraine so I am not surprised about the link. I am very curious about the the Gamacore device you mention, is this available on the NHS? I was taking topamax last year but suffered dreadful side effects and I believe that when I see my neurologist next month they want me to go on to Valporic Acid which I am dreading! It would be nice to think there was an alternative without so many side effects! Also in referance to a post you did last August about ESA and the WCA in which you said you hoped to write more about the actual process for those of us with Migraine. Is that something you would still consider? I ask this as I myself have an assesment coming up shortly and although I have been in the support group for about 10 months now it is especially challenging for those with migraine to get ESA at all due to no consideration being given to chronic pain or "changes in conciousness" which of course do affect many of us however is seems the ESA criteria were written so as to exclude migraineurs. The only way I am aware of for Migraine to qualify for any level of support is via "exceptional circumstances" but as of the 28th of January 2013 these have been amended so that the ATOS HCP conducting the WCA can basically decide that if they belive that your condition could be controlled with medication then they can class you fit for work with no knowledge of your long term medical history, the medication you have already tried and how effective they were. I am hoping to see the CAB next week about my own plans for self employment as I feel home based working is the only way I can manage my onw condition for the time being. 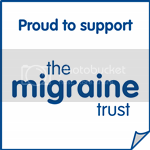 If you would be interested in doing such a post I would be happy to help with any information I may have gained from my own experiance as there is so little out there for those with Chronic Migraine. Sorry for that heavy post! I do hope you and all your readers are enjoying a happy new year so far!